Business intelligence is not just a set of tools to analyze raw data to help make strategic and operational decisions. It is a framework that offers guidance in understanding what to look for in the volumes of disparate data. 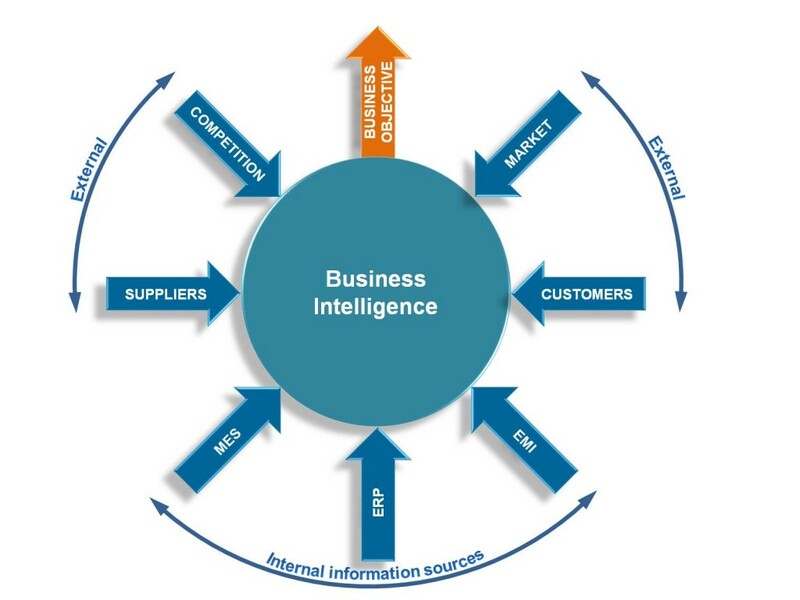 As a framework, BI is a continuous cycle of analysis, insight, action and measurement. Analyzing a business is based on what we know and feel to be important while filtering out the aspects of the business not considered mission critical or detrimental to the growth of the organization. Deciding what is important is based on our understanding and assumptions of what is important to customers, supplies, competitors and employees. All of this knowledge is unique to a business and is an incredible resource when formulating a BI strategy. However, having such granular grassroots knowledge of the business can subconsciously limit the ability to see patterns obvious to others. One of the benefits of BI reporting is performing ad hoc reporting by drilling down layers of data pivoting on the rows and columns. Such flexibility opens up humans inquisitive nature to ask more questions that wouldn’t necessarily be asked if such access to data wasn’t available. Effective analysis helps to understand the business better so to challenge conventional wisdom and assumptions as well as what is considered to be the right analysis. Insight comes in many forms. There are operational insights, such as determining the effect on production costs with the installation of new more energy efficient machines that have slightly lower production yields per unit of measure. There are strategic insights analyzing, for example, new market opportunities by conducting research on the barriers to entry. Insight is the intangible product of analysis developed from asking questions that only humans can ask. Computers can be used for the identification of patterns, but only humans can recognize what patterns are useful. The issue with having insight is convincing others to believe or support the new perspective in order for the insight to be useful. As in life, anything new or different is slow to acceptance or given credibility. Well organized business intelligence that supports the insight by providing clear data, patterns, logic, presentation (i.e. graphs, reports) and calculations are the drivers to help sell the new insight. Once the analysis is done and the insight has been sold the next process in the BI cycle is performing the action or decision making. Well thought out decisions backed up by good analysis and insight gives confidence and courage to the proposed action. Otherwise, decisions not supported by quality analytics are made with overbearing safety measures or less dedication or commitment from the stakeholders. In addition, quality business intelligence delivered quickly improves the speed to action. Today’s organizations need to react more quickly, develop new approaches faster, conduct more agile R&D and get products and services to market faster than ever before. BI based decision making with faster access to information and feedback provides more opportunity for quicker prototyping and testing. The reporting benefit that BI generates often creates the tendency to substantiate the BI results to quantitative standards. Business intelligence is hugely different from the traditional financial management and spending controls reporting. BI allows the setting of standards and benchmarks for monitoring performance and providing feedback in every functional area of the business using metrics that extend well beyond traditional financial measurements. BI tools are developed to measure what is considered important. The BI term for the most important measures is key performance indicators (KPIs). BI systems are designed to assimilate large amounts of complex data from disparate sources and then combine the data using complicated algorithms for allocating, aggregating and massaging the data. The result is consistent reporting on the metrics, ratios and business drivers that are the KPIs that managers need to understand, analyze and take action on. In a well designed and comprehensive BI solution, no functional area of the business is without its own set of KPIs. The goal is to have managers manage what is manageable and that is usually KPIs, not dollars. A clearly defined BI cycle helps companies set goals, analyze the progress, gain insight, take action and measure the results. Business intelligence is a performance management framework that should continuously evolve as the organization matures and strives for competitive advantage.